Donald Trump's administration is considering classifying the Huthis group in Yemen as a terrorist group as part of a campaign to end the war there for more than three and a half years, US diplomatic sources said on Friday. 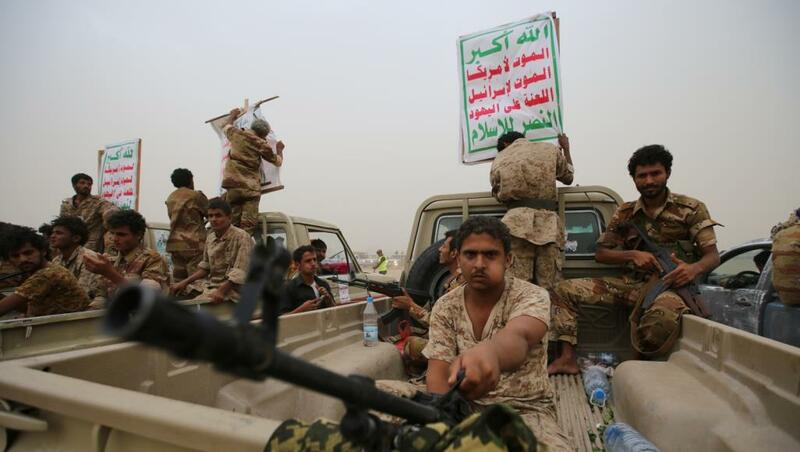 The Washington Post quoted unnamed sources as saying that Washington considers new steps against the Houthi groupe , such as travel bans and freezing of financial assets. According to the sources, Travel prohibitions and other penalties would also be imposed against those thought to be providing “material support” to the group. But the newspaper confirmed that no decision in this matter has been taken. Consideration is part of US efforts to take a tough stand on Iran-linked groups across the Middle East, the Washington Post quoted the sources as saying. The newspaper said some U.S. officials, particularly at the State Department, have resisted moves to designate the Houthis a terrorist group, believing that such a designation might complicate U.N. negotiators’ efforts to get peace discussions off the ground. A terrorist designation would be seen as a major escalation of U.S. pressure against the group. Jason Blazakis, who previously oversaw the State Department office on terrorism designations, said such a move against the Houthis would be mostly symbolic. The rebels do not use the international financial system, and few Houthi figures would be affected by a ban on travel to the United States.